A report from the Associated Press notes that syringes discarded by heroin users are showing up in parks, playgrounds, baseball dugouts, trails, and alongside beaches and rivers, creating a national public health threat due to the risk of passersby and small children accidentally being stuck. “We started seeing it last year here and there. But now, it’s just raining needles everywhere we go,” Rocky Morrison of the Clean River Project in Massachusetts told the outlet. In cleaning up trash along the Merrimack River, Morrison and his crew have encountered hundreds of needles throughout abandoned homeless encampments along the river, as well as among the debris that accumulates in booms. He decided to collect the needles and display them in a large fish bowl to demonstrate the enormity of the problem. However, it is not only Morrison that has noticed the issue. In San Francisco, California, volunteers collected more than 13,000 syringes in the month of March alone—up exponentially from an estimated 2,900 needles picked up in March 2016. “We would certainly characterize this as a health hazard,” Tim Soucy, the health director of Manchester, New Hampshire, also told the AP. Volunteers in his city have encountered over 200 needles so far this year. While it is not known whether anyone has become sick or infected from the needles, some parents have reported that their children came in contact with the syringes. One girl reportedly thought the needle was a thermometer and put it in her mouth. She had to be tested for Hepatitis. Another child stepped on a syringe at the beach. Her 11-year-old daughter stepped on a needle while swimming. Keisha McCarty-Skelton, a spokesperson for the Philadelphia Streets Department, told the Philadelphia Inquirer that weekly trash collectors in the city are instructed not to touch loose syringes. 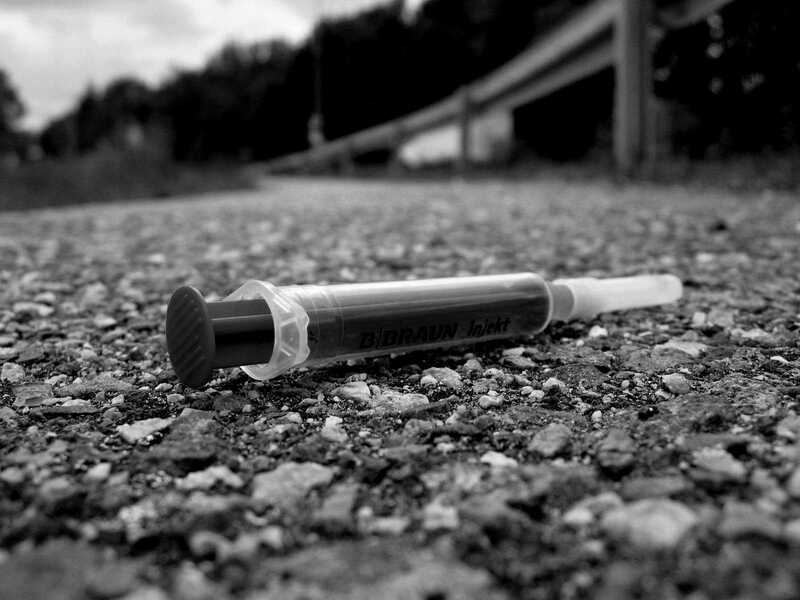 The city is considering “hazard pay” for those who are assigned to areas that may be littered with hypodermic needles. Volunteer cleanup of the “heroin gulch” along the Conrail tracks in the Kensington and Fairhill sections of the city, which is currently underway, is expected to take a month. It is believed that thousands of syringes will be collected during the effort. The U.S. Centers for Disease Control and Prevention (CDC) announced in February that drug overdose deaths have nearly tripled over a period of almost two decades, as an estimated 16 out of every 100,000 Americans lost their lives from an overdose in 2015, compared to 6 in 1999.